YP Empire honors and celebrates women from across the country! 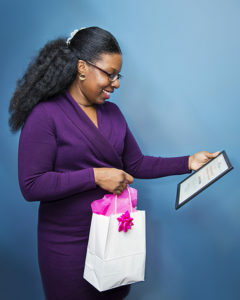 This monthly award highlights strong, bold, sophisticated, dedicated, and innovative professional and entrepreneurial women of color for their leadership and commitment to personal and professional growth. 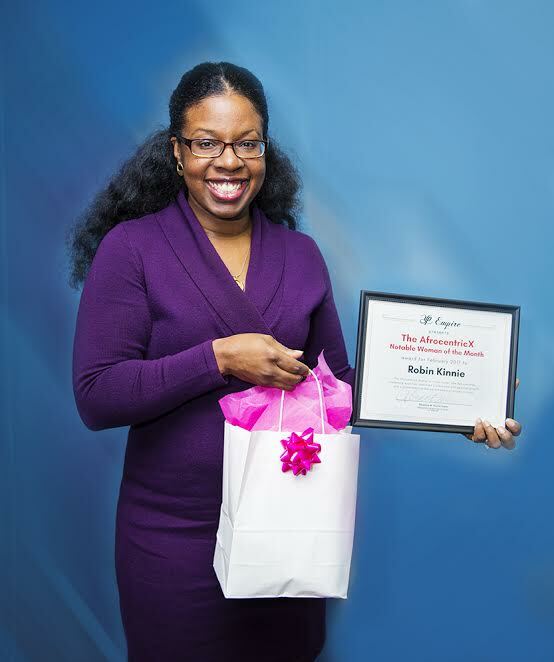 We are thrilled to present Robin Kinnie with our inaugural award and look forward to highlighting more women in 2017 as the AfrocentricX Notable Woman of the Month! 1. Tell us your name and who you are. 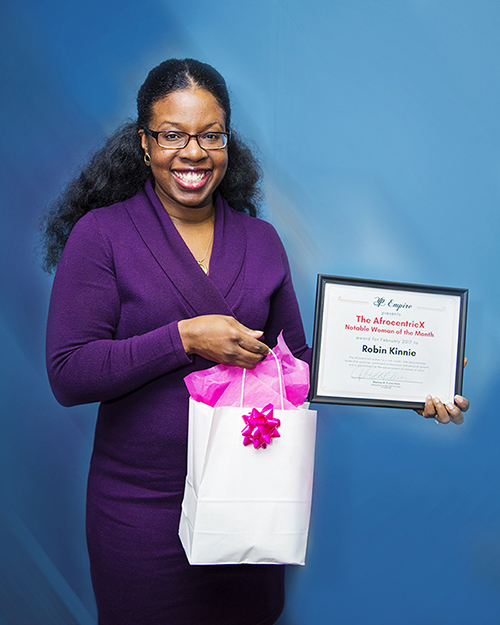 Robin Kinnie, I am a wife, momma and the Founder and CEO of Kinnie Media Group and Motor City Woman. 2. Tell us more about MotorCity Woman and your brand. 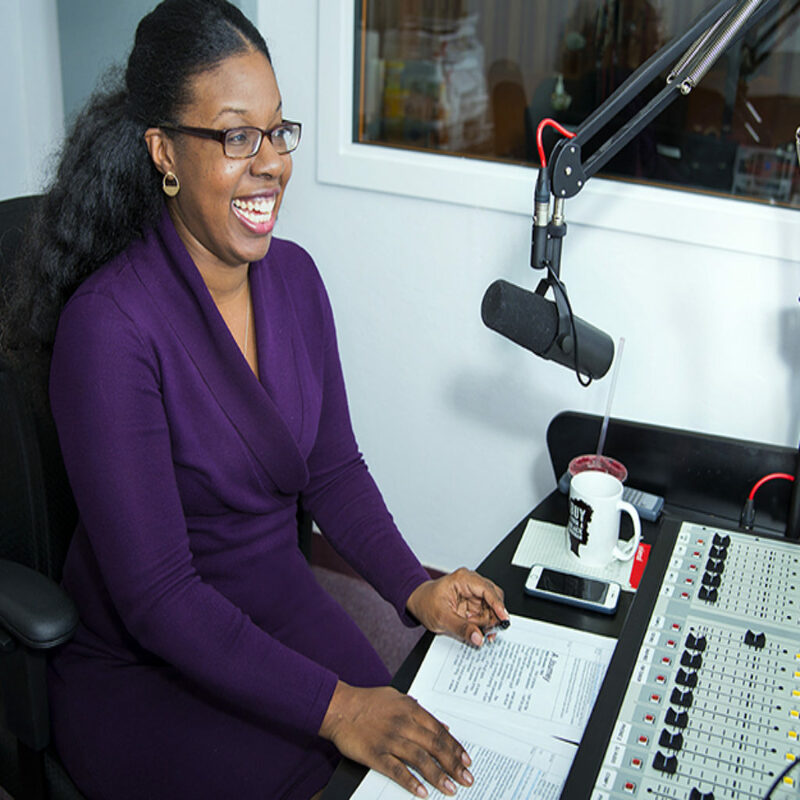 Motor City Woman is committed to being a platform for inspiration, motivation and information that helps women lead more fulfilling lives. 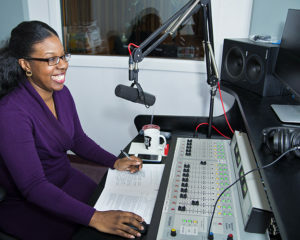 This is accomplished through our 24/7 internet radio station, community partnerships and recording studio. All of our services amplify the voices of women so we can be our own best advocate. 3. What birthed the idea of your company? I recall this vision coming to me in 2015 as I searched for a platform to help me be a better wife – a better mom – a better woman. I couldn’t find it and began to pray for guidance in my life. Overall, I believe I was looking for my purpose in life. As I wrote out that purpose, things started to happen. 4. What are three goals you have for 2017? and/or What do you have coming up in 2017? My main goal is to continue to expand our listening audience. 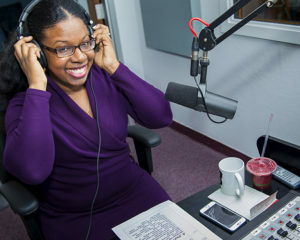 All of our shows are engaging and entertaining so, I know once people know that Motor City Woman exists; they will listen on a regular basis. In doing so, we will become THE voice for women in southeastern Michigan. My goal is to connect resources for women with the women who need them. Which leads me to our goal of expanding our focus on philanthropic efforts. 2017 is already so exciting! We have numerous partnerships, unveilings and events scheduled – some I can not discuss just yet. However, I can share that we are the local partner for The Motivated Mom national tour coming to Detroit May 20! This will be the first time that the tour, powered by Prudential, has added a Detroit stop. What excites me most is the caliber of information and speakers that my fellow Motor City Women will receive during the event. I am blessed to play a role in getting the tour here and the fun all attendees will have. 5. Being an entrepreneur isn’t easy, why did you choose this lifestyle? Entrepreneurship chose me. It became the only option for me to live the life I wanted due to being a wife and mom. It’s difficult having small children while working a traditional job, unless you have a job with family-friendly policies. I knew if I stayed committed to the vision God gave me and worked really hard, I could create the life my family deserved. 6. As a businesswoman, wife, and mother, you seem to juggle things well. What skills have you learned that helps you balance your roles? All women have the capacity to do many things well. The issue comes when you attempt to do all things at once. I know my limits and I know when to rest. I’ve been blessed with a partner who understands the passion I have and the time commitment that comes with that. Also, everything is scheduled. I schedule down time. I schedule my home duties. Last but not least, I’ve learned the importance of being present. When I’m home with my family – I am 100% there and avoid my phone until my kids have gone to bed. Believe it or not, we all have enough time to do everything we want – we just have to prioritize. 7. What advice would you like to give other women looking to create and grow their brand? Women are naturally talented. We just are. My advice for a woman interested in being an entrepreneur is to make sure the business is aligned with their purpose. You could have a profitable company and be unhappy if the goal is simply to make money and not make a difference. As you go through the process of building your brand, remember to be laser-focused and crystal clear. Why are a you creating a brand? For whom? Once you have the clarity and tenacity, it makes the journey worth it. 8. One reason, of the many, you were chosen as the AfrocentricX Woman of the Month is your commitment to women and their professional growth. Why are you so committed to helping women succeed? As a woman, I don’t feel the competition that other women speak about all of the time. We are all unique and in fact, our uniqueness is our competitive advantage. I love seeing other women walk in their purpose and shine. It makes me so happy. There is strength in numbers. I always envisioned Motor City Woman as a collaborative – that’s why I didn’t put my name in the title. We are all Motor City Women. Also, from a personal standpoint, I am a momma to two daughters. I am their first role model and I want to make sure that they see me supporting, championing and loving other women. 9. 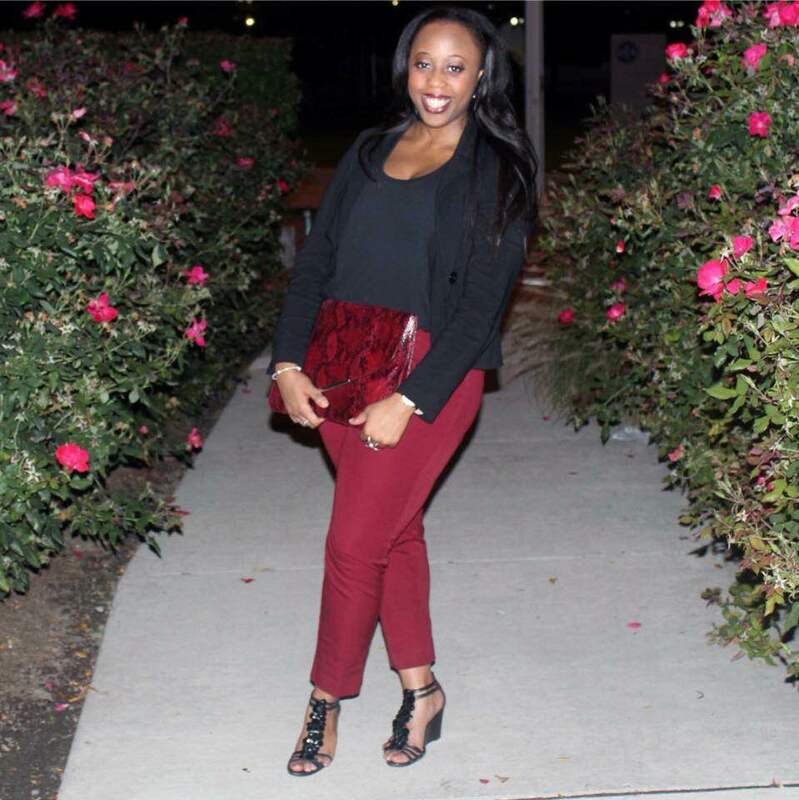 What does it mean to you to be named the AfrocentricX Woman of the Month? I am very honored to be the AfrocentricX Woman of the Month! The recognition is appreciated to be among other women and aligned with an event that celebrates women. 10. 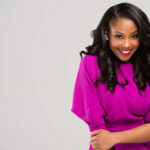 What is one last thing you’d like to share with our audience about Robin Kinnie and the MotorCity Woman Brand? Although the accolades are always appreciated and humbling, I am simply a woman who remains obedient to God in walking in my Divine purpose. I encourage all women to focus on what makes them happy because that’s what we all deserve. When I launched my company, I did not have the connections, the knowledge nor the equipment to accomplish anything. However, I had faith in the vision God gave me and the trust that He would provide my needs. And, that’s exactly what is happening. Live in the light.